AMMONNEWS - This Wednesday the 1st of August at Little Italy – Pizzeria’s outdoor terrace, enjoy the summer night breeze, cocktails and all your favorite Italian dishes with an acoustic session of classic rock by The Gold Stone Trio. 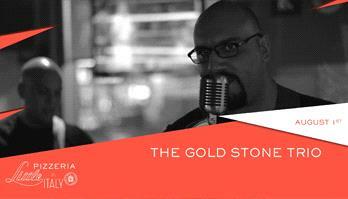 The Gold Stone Trio are known for playing the world’s favorite classic rock hits. To reserve your table, please call +962 79 686 7040.